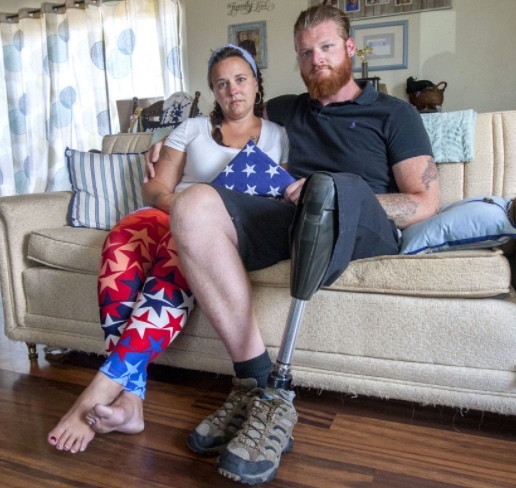 Wounded Times: Amputee Afghanistan Veteran No Longer Disabled According to Social Security? Amputee Afghanistan Veteran No Longer Disabled According to Social Security? “Somehow I was deemed no longer disabled by Social Security, and it’s been an absolute hellish nightmare. I wish I wasn’t disabled and that my leg grew back, and that my arm functioned, and that my gonads hadn’t been blown off and I no longer needed testosterone shots, and I could hear, and I didn’t have PTSD, and that I didn’t have a traumatic brain injury."